Diamond Chef 2014 resulted in a celebratory evening for my friends at The Capital Hotel as their Sous Chef Marc Guizol won the competition against three time Diamond Chef Arkansas winner Chef Dan Capello of the Chenal Country Club. I developed admiration for Chef Capello recently when I read where he named Vietnamese fish sauce his "essential." No wonder he has won this 3 times!!! Thanks Chef, I agree on your essential! You're clearly a genius in food matters. Congrats to Guizol for the win also! I'm a huge fan of The Capital Hotel and everyone on the culinary team there. I was fortunate to enjoy the evening with some of what I consider Little Rock's most informative food, event, & current events writers. Pictured above is Kat Robinson of Tie Dye Travels, Greg Henderson of Rock City Times, Christie Ison of Fancy Pants Foodie, and Debbie Arnold of Dining with Debbie. If you click on their links, you'll see the posts they wrote for the Diamond Chef Arkansas event this year. Also in attendance but not pictured was Joel DiPippa of Southern Ash, and he also wrote a wonderful post about the Diamond Chef event too. The Statehouse Convention Center was a fantastic venue for the event. The stage was lit well with the same sighting of videographers that you see on the set of Iron Chef on Food Network. Large screens were prominently displayed throughout the ball room with closer zoomed in viewing for those of us in the back of the room. 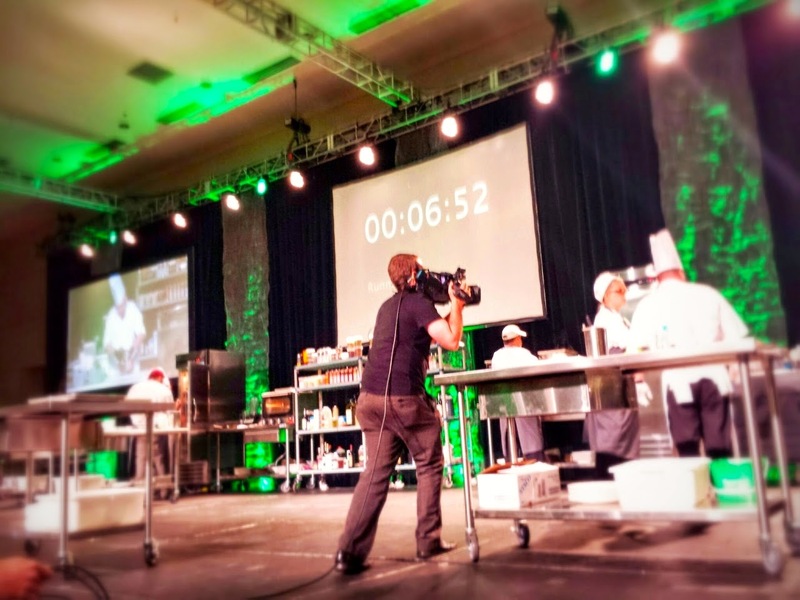 The intensity level in the Little Rock Diamond Chef event to me matched moments that I've also watched with eyes glued to the screen on Food Network when the Iron chef competitors were Chuck Hughes, Bobby Flay, Alex Guarnaschelli, or Cat Cora. I'm equally fascinated by Little Rock's own talented chefs! 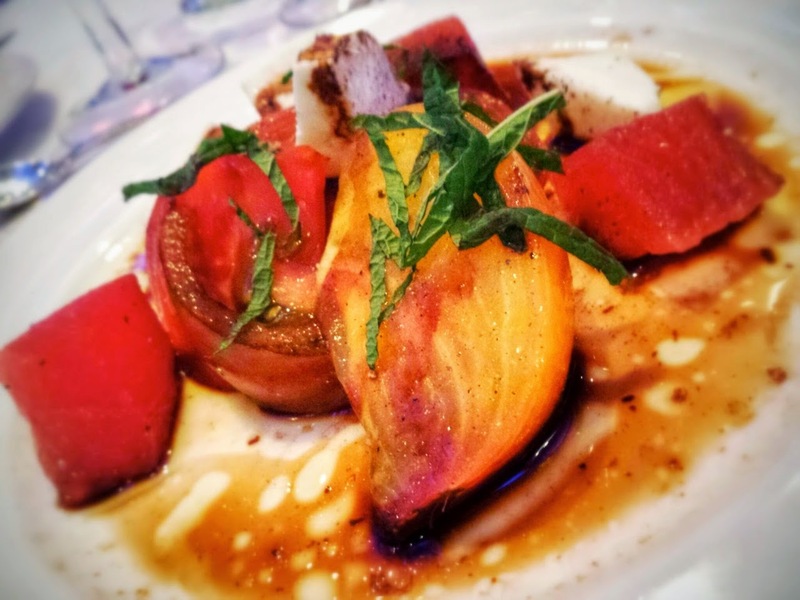 As a spectator, I enjoyed a delicious tomato caprese for my first course. I enjoyed the banter around the table so much as we caught up with each other. These events are always fun to me because we get to get dressed up, enjoy excellent food, and watch an enjoyable show! One of the highlights of the event for our table was when the emcee mentioned Greg's Rock City Times post stating that the chefs of the Diamond Chef finale met earlier on, and a Surf & Turf fight broke out with the chefs striking each other with lobster and filet. 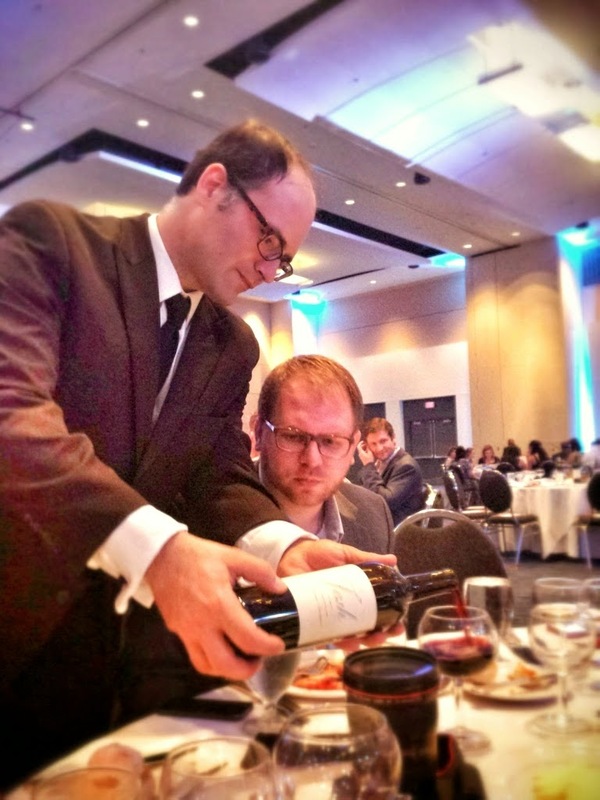 When Joel went to refill Greg's wine for him, Monika posted it as his duty for losing in the illegal gambling ring planned by Rock City Times. When you're friends with the state's second most unreliable news source, there's always something to laugh about. 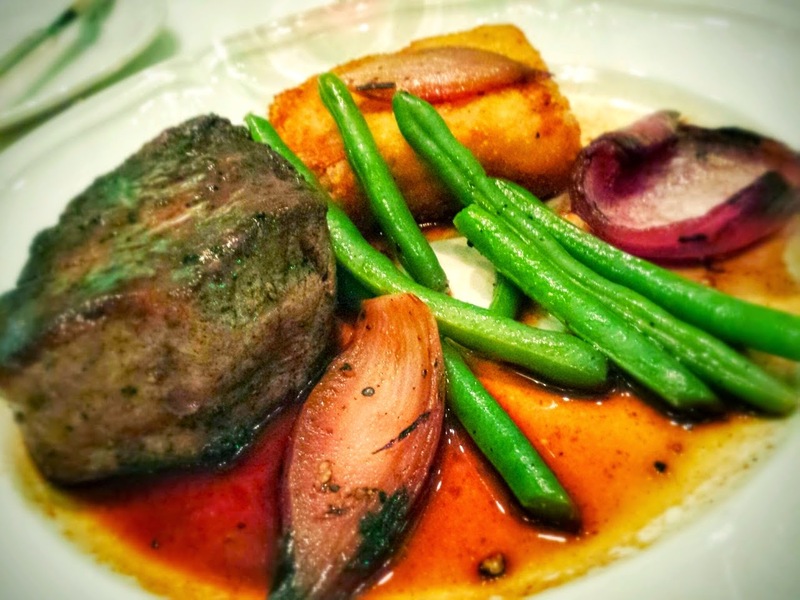 As we dined on Creekstone Farms filet, crispy potato gratin, and green beans, the chefs battled it out on the stage with the surprise ingredient: lobster. In addition to the mystery ingredient, there had been a surprise twist in the event. The chefs had to trade sous chefs with each other! 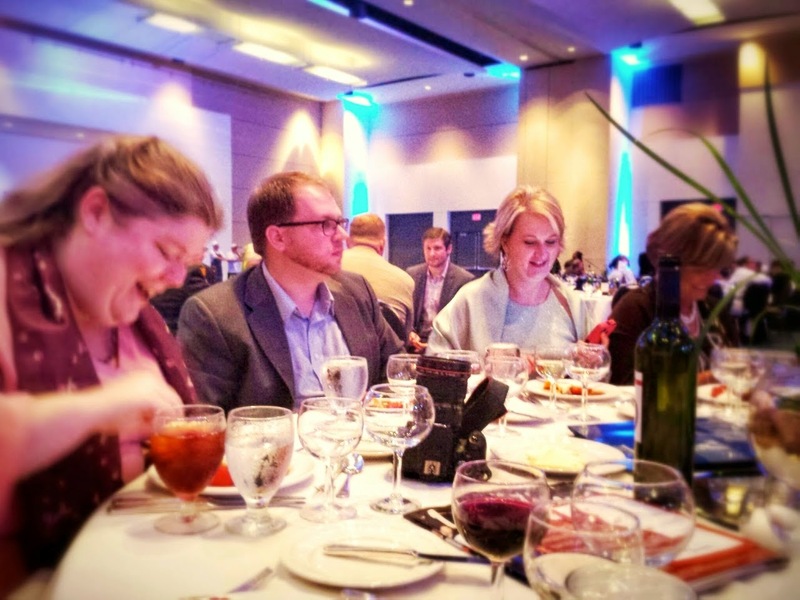 The Diamond Chef event was attended by many regulars in the food scene in Little Rock. The Capital Hotel team, folks from Ben E. Keith, and friends from O'Looneys were among therm. I enjoyed stopping by friends' tables to visit, although some were so intensely involved in watching the entire thing without missing a second! 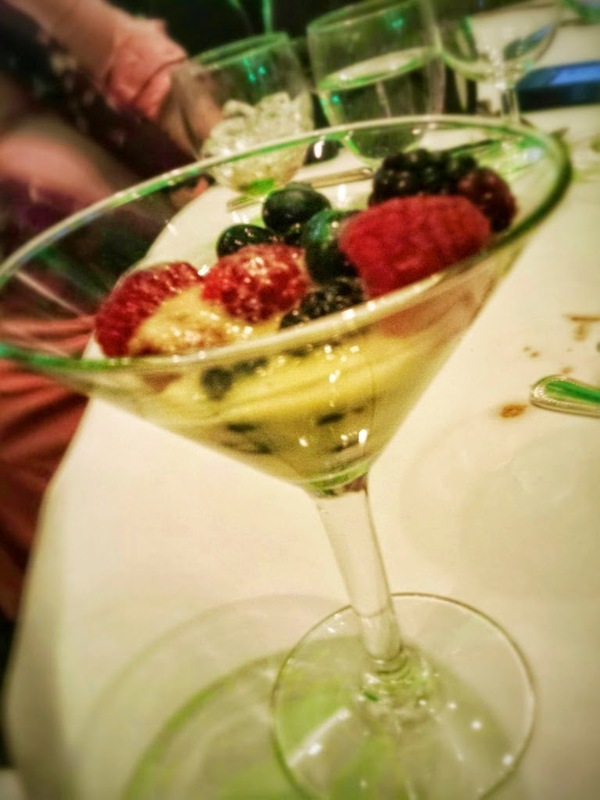 At the end of the evening, the dessert of fresh berries with champagne sabayon was truly my kind of dessert, if I ever choose to have one. I love fruit with just a little something else to accompany it. Thanks to the Pulaski Technical College Culinary Arts and Hospitality Management Institute for letting me be a part of this event! I'm glad to hear that over 540 people were in attendance and the great amount of money raised will go towards the students at the institute. Diamond Chef really is one of the best events of the year in Little Rock!